In 1973 evolutionary biologist L. van Valen proposed The Red Queen Principle. In Lewis Carroll's Through the Looking Glass, the Red Queen observes "in this place it takes all the running you can do, to stay in the same place". He applied this principle to evolution; explaining that for an organism to merely survive and reproduce requires a titanic effort. Watching the harried pinstriped crowds sweatily bustling out of Bank Underground station, you wonder whether the same principle applies to commerce. Pamela Schermann, director of Time Zone Theatre's Othello, explains that one of the primary inspirations for this production was the death of Moritz Erhardt, who collapsed after working a 72 hour shift at Bank of America in the City. These hothouses of activity are populated by ruthless coke-addled workaholics who'd stomp their co-workers into the mud if they stood in the way of profit. An atmosphere of ambition, avariciousness and amorality? The perfect Petri dish to grow an Othello. With its smart suits, minimalist office furniture and weaponised flirtiness, this production is end result of Shakespeare violently colliding with The Apprentice. With the muggy heat of Cyprus exchanged for the pressure cooker of the City of London, Othello (James Barnes) becomes a successful manager, whose nickname "The General" slots neatly into City Trader machismo. Iago (Trevor Murphy) and Cassio (Denholm Spurr) are hungry underlings, eager to slime their way up the corporate ladder. Desdemona (Samantha Lock) is imagined as a rake-thin, trouser-suited power exec, trailed everywhere by her faithful PA Emilia (Ella Duncan). You might think a modern reimagining would be out of kilter with the Tudor surroundings of The Rose Playhouse. We are after all sitting in an active archeological site, the skeletal remains of Henslowe's theatre rising from the dirt below. Yet above us lies floor upon floor of girders, chrome and glass, across the road sits the offices of The Financial Times. In this chilly, subterranean cavern we're in a pocket of history, Elizabethan theatre subtly influenced of by the presence of big commerce. But the modern tendrils creeping into this adaptation go beyond corporate outfits and haircuts; here Cassio has depressed, stressed conversations over Skype, and Iago waves an iPad in front of the audience to show us Bianca's Facebook profile. These moments, both imagination and playful go a long way towards easing the tension inherent in any contemporary reimagining of Shakespeare. This is aided by consistently intelligent interpretations of the characters from the cast. 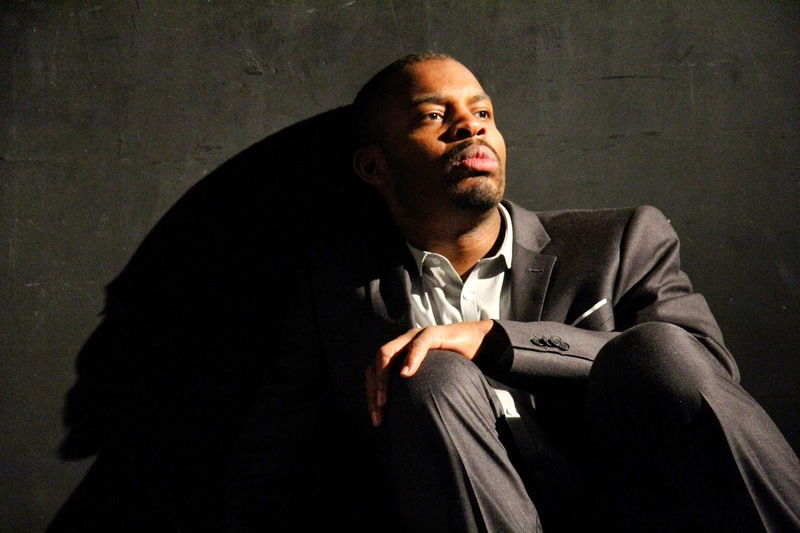 Barnes' Othello methodically takes us through the process by which a confident, debonair businessman is reduced to a deranged, jealous murderer, gradually peeling away the layers of intelligence and civilisation to reveal the animalistic, territorial core at the heart of any powerful businessman. As he violently asserts his right to Desdemona she transforms from partner to property - an asset rather than an individual. Trevor Murphy's Iago similarly slots neatly into the corporate world, his sly ambition and manipulative skills feeling less like intrinsic character flaws and more like the logical psychological endpoint of trying to get ahead in this dog-eat-dog world. Murphy plays him as a man slowly losing his morality, as much convincing himself that he's doing the right thing as he is convincing Othello of his wife's unfaithfulness. The rest of the cast approach their characters with similar care and attention. I particularly enjoyed Ella Duncan's slightly immature Emilia. Alone among the characters she's having fun; dabbling her toes in the corporate waters without becoming tainted. Duncan tackles Emilia's Act IV monologue with impressive dollops of humour and personality; one of the more naturalistic Shakespearian performances I've seen in some time. Having now seen a few shows in The Rose, I was also impressed by the way the company effectively used the room. With a performance space limited in size and scope (set changes are essentially impossible) most companies settle for the existing historical ambience as backdrop. Not so here; the red LEDs that outline the old building are requisitioned to signify mood and increase tension, and in a bold move the dig itself is used as performance space. It's not all sunshine and roses; I do have a few minor quibbles. Firstly that for the entire first scene there's a 15 second muzak loop repeating over and over again. It started to drive me crazy about five minutes in, gradually building to a skin-crawling annoyance. Slightly more egregious was the somewhat limp murder of Desdemona. 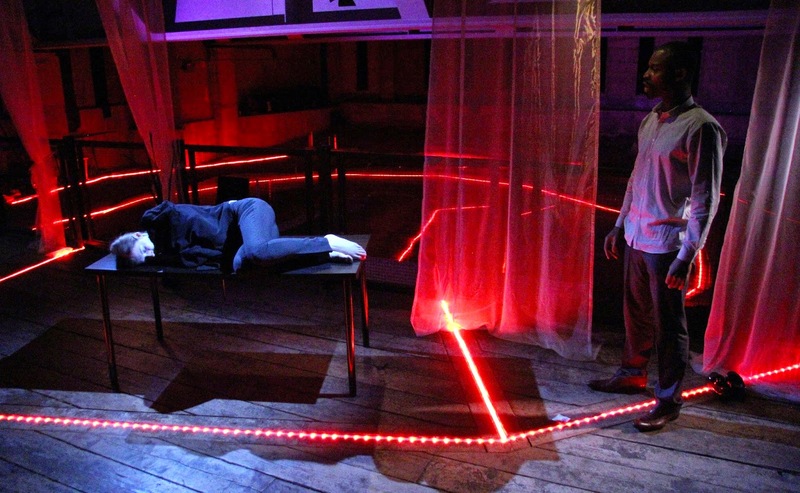 The last Othello I saw was The Othello Syndrome in 2013, a feminist production that drew out the misogyny in the text. There, the climactic murder was a monstrous, physical affair that left audiences in no doubt as to the depths Othello had sunk to. Here there's a bit of half-hearted protesting before Desdemona seems to peacefully acquiesce to her death. Those nitpicks aside, this is a highly enjoyable production. Obvious care has gone into understanding and interpreting Shakespeare, Time Zone Theatre expertly moulding the play into 90 pointed, relevant and well-performed minutes. 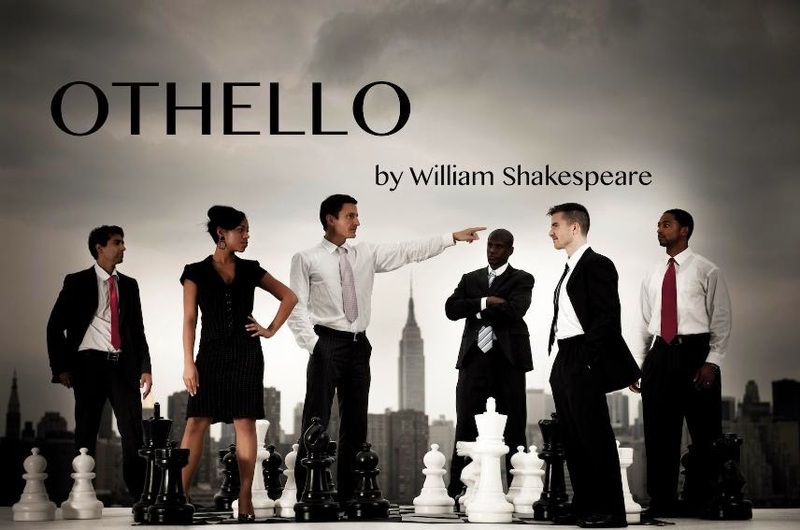 Othello is at the Rose Playhouse until the 28th of February, 19:30 weekdays, 15:00 Sundays. Full £12 / Cons £10. Tickets available here.